Before getting too far into this, I need to confess a couple of things. First of all, the copy of Fish in a Tree that I read was an Advanced Reader Copy (ARC) that may have changes coming before final publication. Secondly, the ARC was sent to me by the author so yes, I am completely biased. I will add, however, that I am completely biased because of how much my students and I enjoyed Lynda Mullaly Hunt's first Middle Grade novel, One for the Murphy's. I appreciated the journey she took us on with Carley's story as she grew with the Murphy's and was expecting more amazing storytelling and writing with Ally's story within Fish in a Tree. I was not disappointed! Lynda Mullaly Hunt begins Ally's story in a way that the reader will immediately connect with the main character. As a teacher, my first thought was a few various students with whom I've been fortunate to work; students who will forever stay etched in my mind and in my heart. Ally's struggles are immediately evident within the first couple chapters. Any teacher reading her story will want to hug her and while her first teacher may not have had the vision to see Ally's struggles or her strengths, the reader is left hoping a strong, passionate teacher will cross her path at some point in this story. Mr. Daniels is that teacher. He is the teacher I hope a piece of me has been and the teacher I aspire to be. He is the teacher who creates a positive classroom atmosphere and values individuals and their strengths while working to improve areas that need improvement. Dave Burgess, of Teach like a Pirate fame, asks teachers if their students would show up for class if they were not mandated to be there; if students would buy tickets just to have a seat in their classroom. With Mr. Daniels as the lead learner, students would find a way to be in attendance. Ally's growth is evident throughout this text. She is initially isolated and feels as though nobody understands her struggles. Throughout time, she gradually begins to trust those that are there to help her. Meanwhile, the antagonist, Shay, becomes increasingly unlikable throughout the text. As more individuals begin to value Ally, fewer characters are supportive of Shay. This gradual shift occurs throughout the text as multiple events within the plot allow the reader to form opinions of both Ally and Shay. 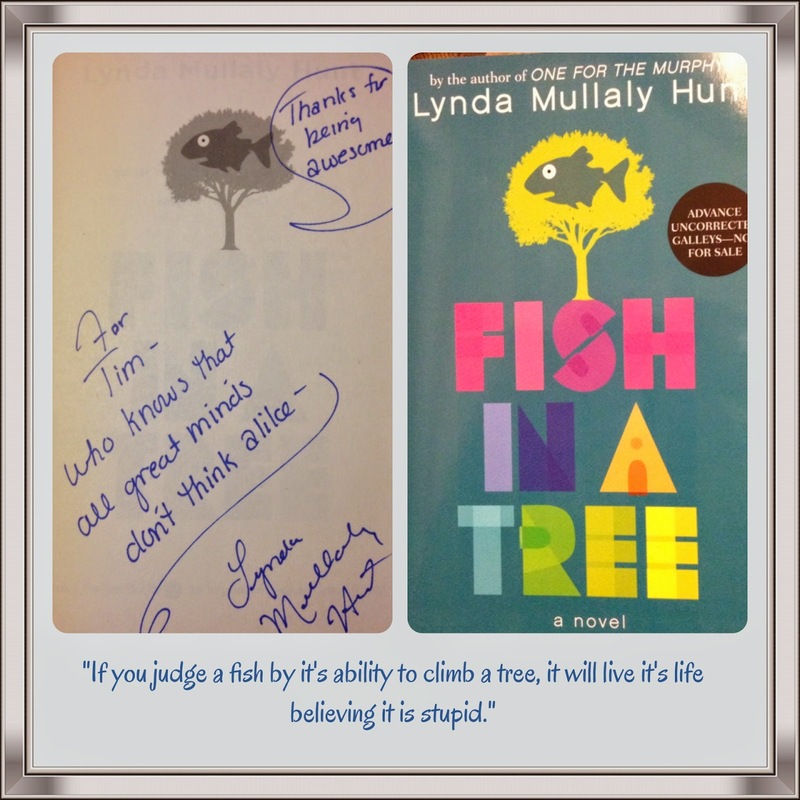 Lynda Mullaly Hunt makes it very difficult to put this story down for any extended period of time. Each chapter seems to end with a thought or a quote that makes the reader want to continue reading. Many of Ally's thoughts stood out to me, but these two shined the brightest: "I guess maybe 'I'm having trouble' is not the same as 'I can't'" and "And isn't it funny - I've gone from invisible to invincible." From invisible to invincible. I love that line and I love Ally's story. I know that students that hear her story will understand that we all face struggles, but through learning about ourselves and allowing those that love us to come into our lives and support us, we can all be invincible!